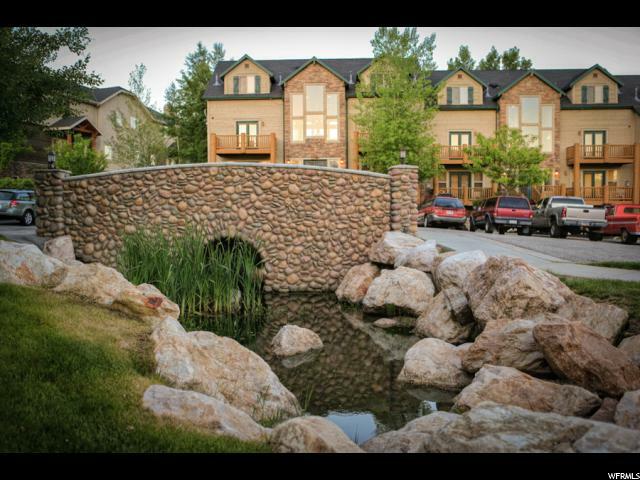 All MOOSE HOLLOW homes currently listed for sale in Park City as of 04/19/2019 are shown below. You can change the search criteria at any time by pressing the 'Change Search' button below. "Situated within Moose Hollow, a gated community of 26 luxury homesites, this home offers a serene and private park-like setting on 1.88 acres. 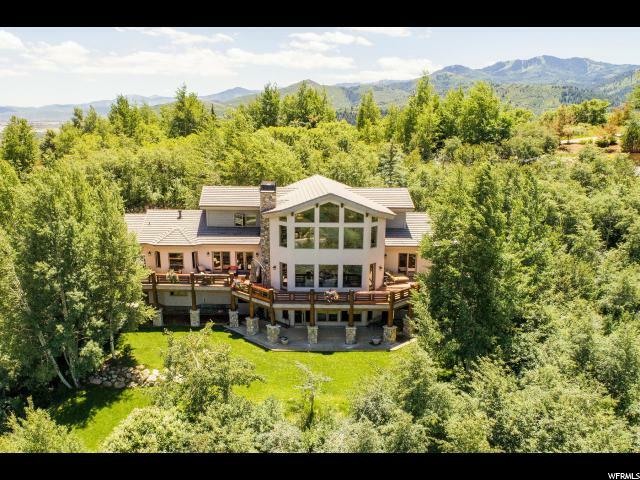 Tucked into the aspen trees, surrounded by manicured grounds, and built in a timeless mountain contemporary style, this 5 bedroom, 6 bathroom, 6,431 sq. ft. residence is fit to entertain. Perfectly framed views in every room with two floor to ceiling stone fireplaces, a gourmet kitchen with high-end appliances, vaulted ceilings, and open layout allow natural light throughout. Additional home features include a grand master suite with a large bathroom and soaking tub, expansive wrap-around deck, home office, family room with a wet bar and game area, wine cellar, exercise room, sauna, and lower level walk-out to a terraced yard and new hot tub. Access over 10 miles of private hiking, biking, horseback riding, snowshoeing, and cross country skiing trails from the front door, and enjoy spectacular views overlooking 150 acres of common area space plus 8,000 acres of undeveloped ranch land. " "*REDUCED PRICE ON GREAT TOWNHOME IN EDEN* This custom designed floor plan of this beautiful end unit Cascades town-home is an absolute MUST SEE! Upgraded floor plan, carpet, paint, cabinetry and finishes throughout the entire unit and it is in excellent, very clean condition. A very large open kitchen/dining/family room area with large island, double sinks, double ovens, multiple dining tables and so much more to enjoy! Each of the 4 bedrooms were designed to maximize available space and each has it's own private bathroom. The lower level features radiant floor heat, a large theater room with 110 screen with front projection system and 7 channel surround sound along with platform seating. The theater room connects to the game room which includes a full-size pool table, air hockey, foosball and more! There is a large patio with private hot tub and gas BBQ grill off of this lower level as well. This property has been a vacation rental home and has an excellent rental history. There are existing rental bookings for winter of 2018-19 which will transfer to the new owner upon closing. This town-home is being offered fully furnished with very high-end custom/hand made furnishings and is in turn-key condition. Perfect as a primary residence or a 2nd home vacation/investment property. Town-home has been used for nightly rentals. 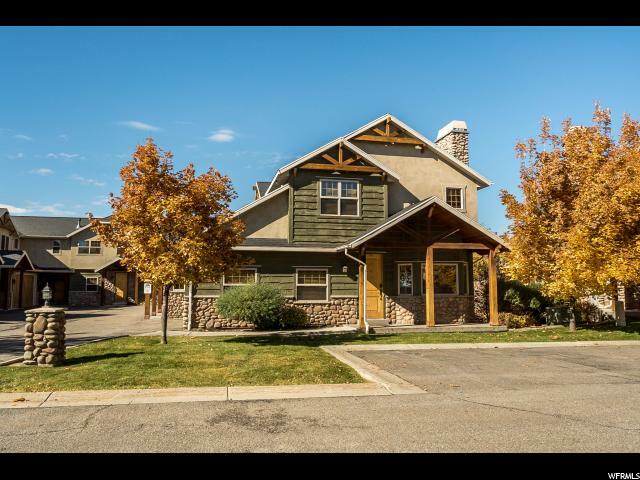 Owner/Agent"
"Looking for a second-home/investment property or full-time residence in beautiful Ogden Valley? This charming 3-bedroom condo is in excellent condition and being sold fully furnished. Recently remodeled with new carpet, paint and living room furnishings. Located across from the outdoor community pool, jacuzzi and sauna. Only minutes from three major ski resorts, stream or lake fishing, boating and miles of hiking and biking trails. Adjacent to the Wolf Creek Resort Golf Course, which also offers cross-country skiing and snowshoeing during winter months. "